Why Should I Hire a Social Security Disability Lawyer to Help Me? There are many good reasons to hire a lawyer before you apply for Social Security disability benefits. However, you may have questions about whether you need a lawyer for your own application. It is good that you have questions. You should never hire a lawyer without knowing exactly what he can do for you. In this article we explain the ways that an experienced lawyer can help with a Social Security disability application. However, we also recognize that you may have additional questions about your own application. To get those questions answered, we encourage you to reach out to us via this website or by phone so that we can schedule an initial consultation and help you get all of the answers that you need before you decide whether or not to hire a Social Security disability lawyer. You have a disability that makes it impossible for you to work. You have tried to apply and find the process overwhelming and confusing. You are simply too disabled to do the work of applying. You have applied and have been waiting a long time for a decision. You cannot locate all the information required by the Social Security Administration (SSA) disability program. You have applied and have been denied. You need help preparing for a court proceeding. While you may have a legal right to Social Security disability benefits, the approval of your application is far from certain. At the initial application level, only about 35 percent of applicants are approved for benefits. After that—at each stage of appeal—many applicants are continually denied benefits. Collect all the information that you need to apply and know how to use this information to your advantage. Make sure that all of the information supporting your application is submitted correctly and on time. Protect your right to a fair hearing. File any necessary appeals to challenge unfavorable decisions. Act as your advocate should you have to go to court. Help you to prepare yourself for any court proceedings. Speed up the time it takes to begin receiving benefit checks. You have worked long enough to qualify for Social Security disability benefits and your application should be approved if you qualify for such benefits. Unfortunately, many valid applications are denied on technicalities that could be avoided if the applicants had experienced disability lawyers representing them. A disability lawyer can examine your initial application, determine why you were denied, and, if possible, make the necessary changes to get your application approved. An attorney knows the laws and can make sure that your rights are fully protected. This includes making sure that you get all of the potential back benefits to which you are legally entitled. Your chances of being accepted the second time around may increase with legal representation. If your second claim is denied, your attorney can file for all hearings and appeals necessary to obtain benefits. What Does it Cost to Hire a Social Security Disability Lawyer? If you decide to hire a lawyer to represent you at any stage of the SSA disability process, you should know how that lawyer is paid. First and foremost, you do not pay the lawyer any fees that are not part of your settlement. Federal law regulates this. You only pay if the lawyer succeeds in getting your benefits for you. A common arrangement is to pay the lawyer 25 percent of back payments owed to you, with a cap of $6,000. The SSA pays the lawyer directly, so you never have to write a single check, unless some fees are charged for expenses. This may include the cost of getting medical records. Before you give up on your right to Social Security disability benefits, consider what will happen to you financially if you do not get benefits. Social Security disability made a significant difference for one of our clients, James W. James wrote to us and said, "I went to call the bank to check my balance today because I was three dollars short on paying my rent. They told me there was a $36,000 check there from Social Security. I couldn't believe it. I wasn't even going to have a Christmas this year, so I want to thank everyone so much for all of their help . . . I keep pinching myself to make sure this is really true." Testimonials like these are what keep us in the battle for your rights. An experienced disability lawyer should provide you with personal attention and a good working relationship. For help with a Social Security disability application in Massachusetts, Rhode Island, or New Hampshire, please call us or reach out to us via this website at any time. Additionally, we encourage you to download our FREE book, Unlocking the Mystery: The Essential Guide for Navigating the Social Security Disability Claims Process, for more information. Why Do I Have to Wait So Long for a Social Security Disability Determination? 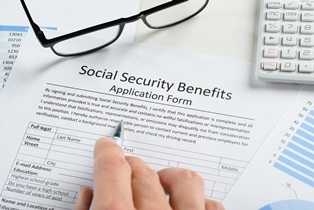 Who Will Make the Decision About Your Social Security Disability Application? Should I Hire a Social Security Disability Lawyer or an Advocate?